All light on the projection screen, not into the speaker’s eyes. A wall bracket with generous adjustment facilities to obtain the best possible image quality at all positions. The projector can be suspended at any location along the pillar for depth adjustment. Furthermore, the wall plate can be adjusted both horizontally andvertically. Fine adjustment is very easy with the aid of adjustment knobs on the universal slide. 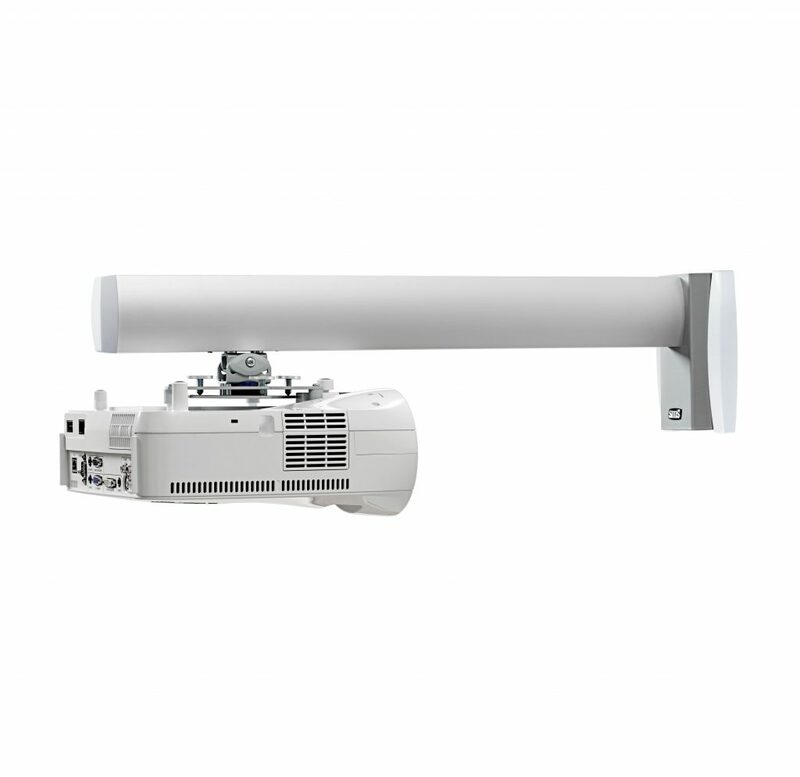 To find out if this projector bracket fits your projector, please read our guide. Black version of this product is discontinued. Contact SMS for stock balance. Prices are subject to change without prior notice. All prices except distributor prices are recommended prices. Please note that our product is the actual stand, mount or casing. Any media device or accessory shown in the picture is not included in the product.